By Anna Monus in Internet. Updated on August 16, 2016 . Have your site managed to survive the recent Mobilegeddon? If you haven’t even heard about it, don’t panic – after all you are still alive. Mobilegeddon began on 21 April, 2015 when Google launched a new search algorithm update that added a new ranking signal prioritizing mobile-friendly websites. Soon after its official announcement the update got the nickname Mobilegeddon which is a portmanteau of “mobile” and “Armageddon” as the new algorithm was expected to cause a big turmoil in the page ranking landscape. A site can be called mobile-friendly if its content displays well on handheld devices. By introducing it as a new priority in search engine rankings, Google adapts to the latest trend that shows more and more people use mobile as their primary device to access the internet. Google recently confirmed officially that, more Google searches take place on mobile devices than on computers in 10 countries including the US and Japan. A few days after the change, articles all over the Internet popped up claiming Mobilegeddon wasn’t such a big thing after all. However, a smart algorithm needs time to take effect, which is why four months down the road, we can now see how big a deal Google’s Mobilegeddon really is. 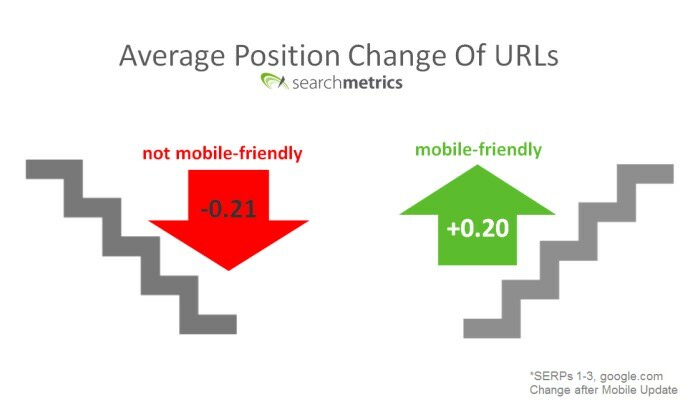 According to the research of the Stone Temple Consulting digital marketing agency during the first month of the new algorithm release, nearly half of the non-mobile-friendly pages dropped in search engine rankings. Below you can take a look at the conclusion of the study that measured the impact the new ranking factor had on the SEO of the top 10 results of test queries. Others companies with business interests in the search engine fields like Adobe, Searchmetrics and s360 Consulting also conducted analyses that returned quite similar results. Google execs already anticipated the significance of the update well before its launch in March 2015 when they claimed at the SMX Munich Search Marketing Conference that the upcoming mobile-friendly algorithm would impact more sites than their Panda and Penguin algorithms did. Although there are still debates about whether the new change was as significant as Panda or Penguin, looking back, Google’s anticipations proved to be right. 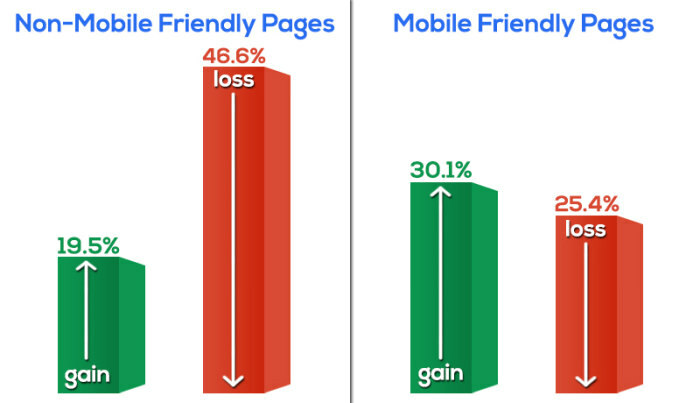 Mobile-friendliness is not only important because of good search engine rankings. A good position increases the number of your visitors, and therefore your conversion rate and revenue for sure, but is there anything more in it that can hold the interest of a smart designer? If search engine ranking tables don’t inspire your creativity, take the following approach instead. Behind Google’s new mobile-friendly update there’s a strong endeavour to improve the user experience of the web, so as a designer you don’t have to focus on anything else than creating an amazing one. There’s a simple rule of thumb to follow if, entangled in boring SEO reports, you happen to lose your motivation is that everything that improves UX improves SEO too. If you want to be a SEO-wise designer, the best you can do is to become a designer who creates webpages with a UX that rocks. To achieve that rocking UX, first you need to test the mobile-friendliness of your sites. You can easily assess how well your sites meet the new requirement by running Google’s Mobile-Friendly Test. If you want a more detailed analysis you can check if there’s any mobile usability errors on your site with the help of Google’s Mobile Usability Report. To use this handy tool you need to log in to your Google Webmasters account (you can easily create one here if you don’t have one yet). It’s important to check all the site variants you have added to your Google Webmasters account as there can be minor differences between them: if you added your site with and without the www subdomain, or with and without the HTTPS protocol you will need to check both. Responsive design is the most handy solution if you want fast results. It’s especially convenient for those of you who use content management systems like WordPress, Drupal, Joomla, etc. All you have to do is to find and install a responsive site template. 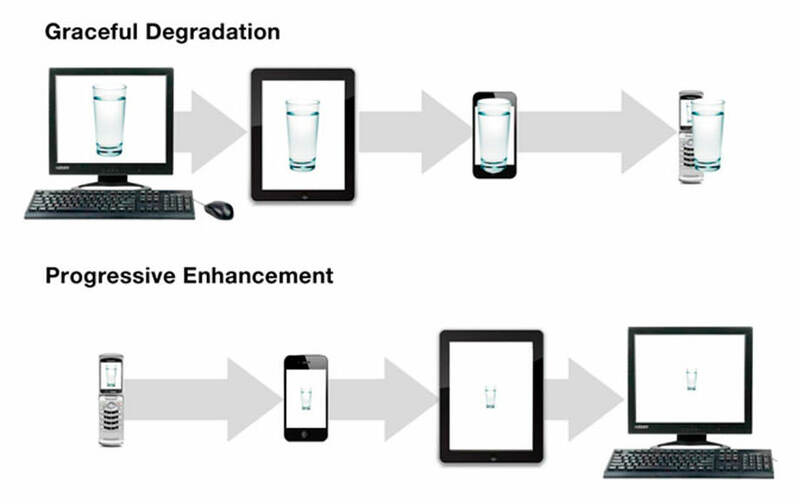 Responsive sites dynamically adapt (respond) to the viewports of different devices such as mobile phones, tablets, notebooks, desktop monitors, etc. Responsive design serves the same HTML to all devices, and adds different style rules to the CSS file(s) to determine the appropriate layout that changes according to the size of the screen and the orientation of the device. There are many cases when you can’t afford a completely new site design, which can also happen when you work for a stubborn client. When you find yourself in a situation like that, a secondary mobile design can be a good solution. Secondary mobile themes are the alternative of responsive design. In this case your website will have two versions: one for desktop, one for mobile users. This solution also means having separate URLs for the desktop and the mobile versions such as www.anything.com and m.anything.com. If you have a WordPress site, there are some cool plugins out there that detect if the user comes from a mobile browser and if yes they load a secondary mobile theme. If you are interested in this solution it’s worth to take a look at and try any of the Any Mobile Theme Switcher, WP Mobile Edition, or WPtouch Mobile plugins. Do you known that if your mobile visitors have your Android app installed on their phones, and they enter a search query into the Google Search bar, the search engine also gives them results from the contents of your app? To enable this feature, you need to make your app indexable by adding support for App Indexing. By doing this you can increase your site’s mobile search engine ranking. Read Google’s guide on how to set up App Indexing. If you don’t yet have an Android app, maybe it’s the right time to think about creating one. On mobile, people consume content differently. They usually have less time, and on smaller screens, it’s harder to scan through the content. Because of this, typography and spacing matters even more than elsewhere. If you want to keep your visitors on your mobile screen with an engaging content it’s worth to think about writing shorter headlines and shorter paragraphs, and using more sub-headlines. It’s also a good idea to leave more space between links so that users can easily tap them. Finally, don’t forget about the most important thing: choose legible fonts. If you keep typefaces simple you can hardly go wrong. Choosing the right font size also needs some serious consideration: the general rule of thumb is to use 30-40 characters per line for mobile. 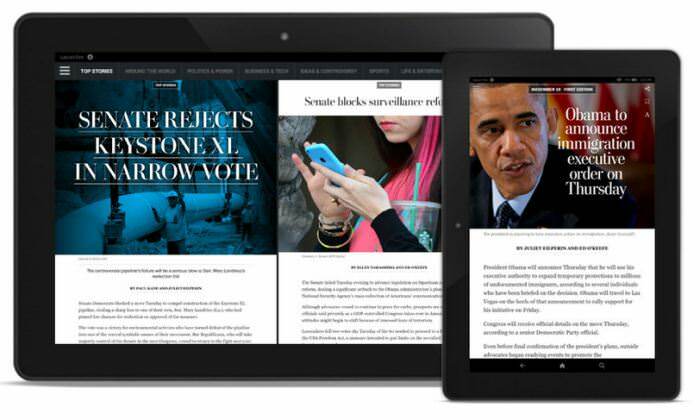 If you want to see a good example for that take a look at the design of The Washington Post’s apps and website for mobile.